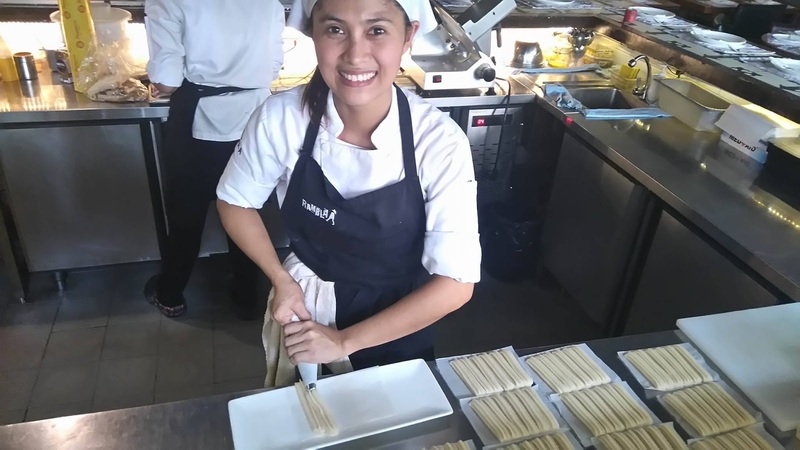 Anihan Technical School graduate, Angelica Bati is a Line Cook in Rambla Restaurant. This restaurant serves Spanish and Mediterranean Cuisine.She did her On-the-Job-Training in Makiling Conference Center and in Rambla, where she is currently working as Line Cook. She was first placed in front of the house and later on, she was transferred to the kitchen, which she really loves. Angelica is from Calamba, Laguna. She came from a big family, having 9 siblings. She is the third to the youngest. Her father is a carpenter in Tagaytay Highlands while her mother accepts laundry jobs. Her parents never stop working to support their big yet happy family. Angelica and her mother visited Anihan and both of them liked what the school offers the students. Angelica is able to help her parents in their financial needs. Her youngest sister, Fe, is in her second year in Anihan as Grade 12.